If you are interested in joining our club then initially you could come along to one of our training sessions, meet the coaches, other members and maybe have a go. Payment can be by either cash, cheque, bank transfer or standing order. 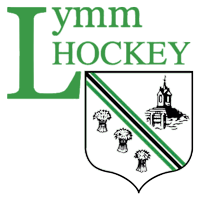 Annual membership is due each year by the end of September and covers membership of the club for the following playing season (September to March) and the summer through to the end of August. To join check out the categories and note which suits you. We will maintain a record of attendance at training to manage the membership grades. Please be aware there is no longer an option to pay for training on a weekly basis. Training fees for pre-season training are not included in membership. The membership fee enables us to pay league affiliations, training costs (pitch hire and coaches), training for umpires and other officials, club insurances and the cost of replacement equipment along with other costs such as administrations fees for the Safeguarding checks we need to make to comply with England Hockey regulations. The first payment must be received by the end of September. If you chose the option of two instalments, the second instalment must be received by the club by the end of the following January.